Chances are your phone was ringing off the hook from August through November as the race for New Jersey governor and for the 120 seats in the state Senate and General Assembly heated up. If you lived in a competitive legislative district, your phone probably never stopped ringing. These interruptions are not always welcome, and more than a few of us screen our calls to avoid them. But sometimes those calls yielded a pleasant surprise. The caller on the other end was not a hired political operative or a robocall, but a fellow NJEA member—a teacher, custodian, bus driver, secretary or nurse. You may even have been one of the members making those calls. Perhaps you were even greeted at your doorstep by NJEA members. Buried among the numerous impersonal election mailers you received, you may have also received a handwritten postcard from a colleague that shared his or her reasons to vote for NJEA PAC-endorsed candidates. 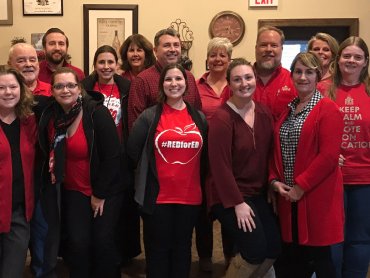 Since the summer, with support from NJEA staff and leadership, NJEA, NJREA and NJEA Preservice members logged over 200,000 phone calls and had 20,000 conversations with fellow members. They knocked on thousands of doors. They wrote over 25,000 postcards. The messages on those cards, and the content of those phone and doorstep conversations, were not only about a governor, an Assembly member or a senator; county and local associations made endorsements in 16 counties for freeholder, board of education and town council candidates. The result? Our endorsed candidate for governor, Phil Murphy, sailed to victory. 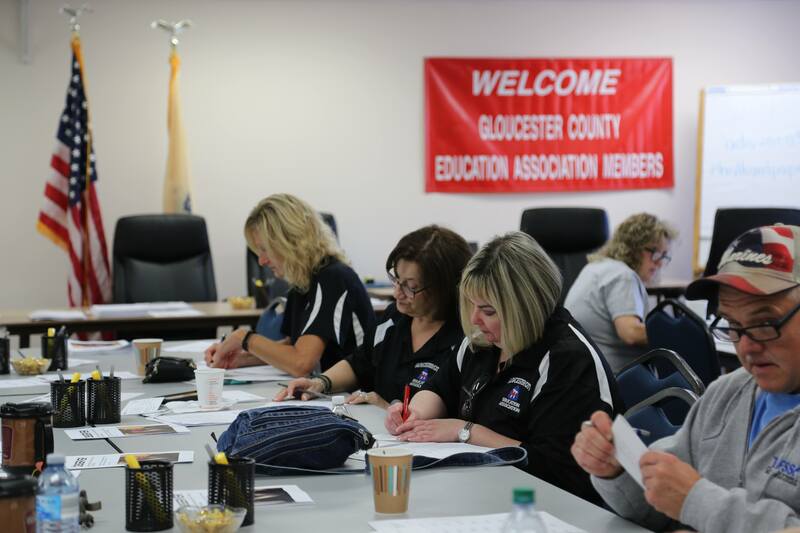 Seventy-eight percent of NJEA PAC-endorsed candidates for the state Legislature won, and 61 percent of locally endorsed candidates were elected. But winning elections is not an end in itself. 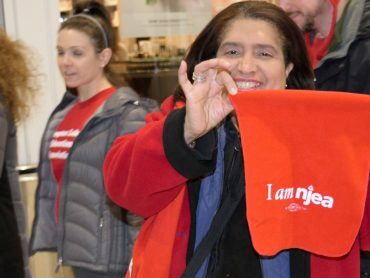 For NJEA members, the campaign is not about Democrats or Republicans. It is not about liberal or conservative politics. It is not about an individual candidate. The campaign is about equity for our students. The campaign is about relief from Chapter 78. The campaign is about the security of our pensions. 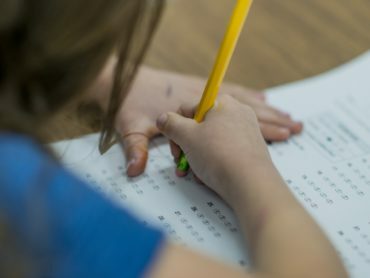 The campaign is about a fairer system of evaluation that is not tied to a single, standardized test. The campaign is about finally getting anti-privatization legislation that not only passes both houses of the Legislature, but that is signed into law by the governor. NJEA members do not make phone calls, knock on doors, and mail personal postcards just to win elections. Most importantly, the campaign is about fair school funding so that New Jersey’s public schools are not again shortchanged as they have been for the last eight years, as the state failed to provide more than $9 billion as required by the School Funding Reform Act (SFRA). That funding is the key to nearly all of our priorities. Without a fully funded SFRA, the property tax relief New Jersey homeowners have been waiting for will not materialize. Without a fully funded SFRA, ensuring equitable distribution for resources for all students—regardless of ZIP code—is all but unattainable. Without a fully funded SFRA, relief from Chapter 78 is delayed. Without a fully funded SFRA, more local boards of education will seek to privatize the jobs of educational support professionals. Fortunately, we finally have elected a governor who is committed to fully funding public education. This is the reason for the campaign. This is why NJEA invests its resources in supporting members who knock on your door, call you on the phone, or write you a postcard. The election is over, but the campaign continues, because it is never about an election. It is about NJEA members working collectively and persistently to uphold and advance our values as leaders in public education. You have a union. Keep it strong!